Here’s a massive collection of the best cookies and bars ever with more than 180 sensational recipes that are as easy to make as they are fun to eat. Whether made from scratch or with a Betty Crocker mix, these delectable cookies give you as many options as any cookie lover could want. Whether you crave traditional favorites or fancy new ideas, you’ll fall in love with these lusciously diverse cookiesвЂ”from classic peanut butter cookies to unexpected flavors like Pecan-Praline Bacon Bars. Plus, with a special section of gluten-free recipes, every member of the family can get in on the fun. 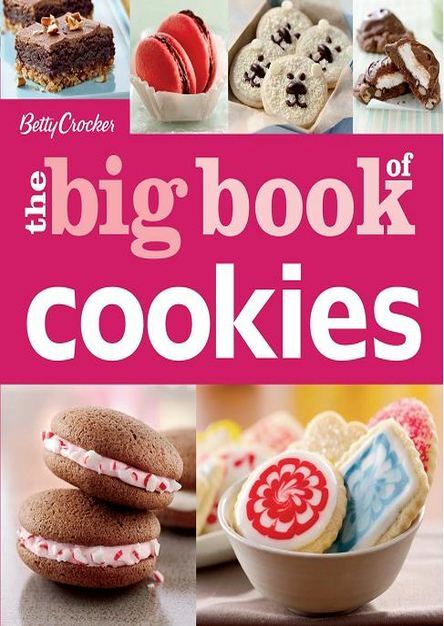 You’ll find almost any cookie you can imagine in the Betty Crocker Big Book of Cookies. With these recipes and variations, you’ll find the perfect sweet treat for any occasion… or no occasion at all.